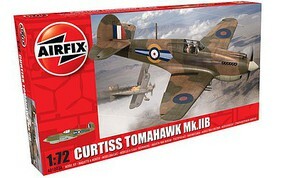 Shop online for 132 airfix plastic models at discounts up to 28%. Airplanes is the most popular of the 7 airfix plastic models categories, then Cars / Trucks / Vehicles, and Figures. 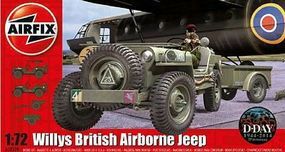 This is the 1/72 Scale Willys Jeep, Trailer & 6-Pdr Gun (New Tool) Plastic Model Military Vehicle Kit by Airfix. 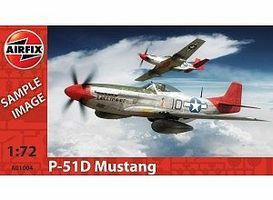 This is the 1/72 Scale North American P-51D Mustang Plastic Model Kit by Airfix. Suitable for Ages 8 & Up. 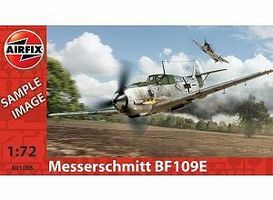 This is the 1/72 Scale Messerschmitt Bf109E-4 Plastic Model Kit by Airfix. Suitable for Ages 8 & Up. 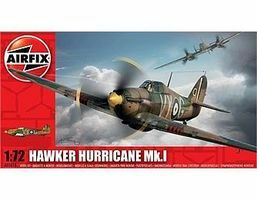 This is the 1/72 scale Hawker Hurricane Mk I Aircraft (New Tool) plastic model airplane kit by Airfix. 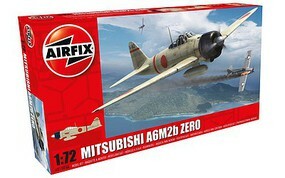 This is the 1/72 Scale A6M2b Zero Aircraft Plastic Model Kit by Airfix. 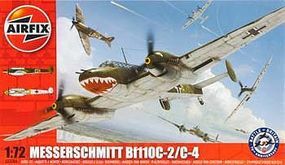 This is the 1/72 Scale Messerschmitt Bf110C-2/C-4 Plastic Model Kit by Airfix. Suitable for Ages 8 & Up. This is the 1/72 Scale Curtiss Hawk 81-A-2 Plastic Model Kit by Airfix. Suitable for Ages 8 & Up. 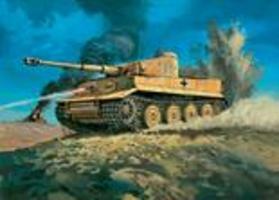 This is a 1/72 Scale Plastic Assembly Kit of a Tiger I Tank from Airfix. This is the 1/72 Scale F4F4 Wildcat Fighter by Airfix. This is the 1/72 Scale De Havilland Mosquito NF.Mk.II/FB.Mk.VI/FB.MkXVIII Plastic Model Kit from Airfix. Suitable for Ages 8 & Older. Assemble the Martin B-26C Marauder with this 1:72 Scale Plastic Model Kit from Airfix. Suitable for Ages 8 & Older. This is the 1/72 Scale Submarine Spitfire PRXIX Plastic Model Kit from Airfix. Suitable for Ages 8 & Older. This is the 1/72 Scale Boeing B17G Flying Fortress USAAF Bomber (New Tool) Plastic Model Airplane Kit by Airfix. This is a 1/72 Scale Supermarine Spitfire I Plastic Aircraft Kit by Airfix. This is the 1/72 scale Acro Lancaster B I(FE)/B III Bomber (New Tool) plastic model airplane kit by Airfix. This is the 1/48 Scale Messerschmitt Bf109E-4/E-1 Plastic Model Kit from Airfix. Suitable for Ages 8 & Older. This is the 1/48 Scale English Electric Canberra B2/B20 Bomber (Re-Issue) Plastic Model Airplane Kit by Airfix. This is the 1/72 Scale De Havilland Vampire T.11 Plastic Model Kit by Airfix. Suitable for Ages 8 & Up. This is the 1/72 Scale Grumman Martlet Mk IV Fighter (New Tool) Plastic Model Airplane Kit by Airfix. This is the 1/72 Scale Fairey Swordfish Mk.1 Plastic Model Kit by Airfix. Suitable for Ages 8 & Up.